IWASSA Co.: Google chairman company: the Internet will disappear soon! Google chairman company: the Internet will disappear soon! 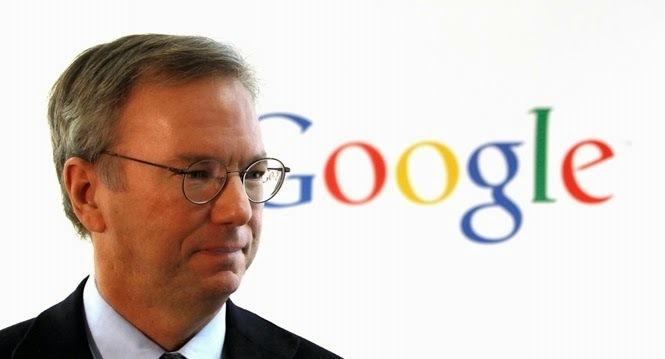 There is no doubt that the head of Google Inc., "Eric Schmidt," is one of the big names in the digital world, and not also doubt that all his words takes seriously, and the last statement on the sidelines of the famous "Davos" Economic Forum in Switzerland has raised a lot of controversy, where he said that the Internet "is governed disappearance" in the near! Eric Schmidt, and on the sidelines of the World Economic Forum "Davos" occur especially in the technological side when he refers to the Internet as a means of technology is governed by disappearing in the future, but the head of Google Inc., is not intended in this speech that the Internet will no longer exist, but rather on the contrary, it will become strongly present in our lives to the extent that their presence will not be noticed and will not remain limited to social networking or entertainment, but rather will be reflected on all walks of life and become part of it. Google Chairman Eric Schmidt said in his speech on the sidelines of the International Forum: "There will be a lot of IP addresses and a lot of smart devices and sensors and interactive tools to the degree that you will not feel the presence of the Internet" and then Schmidt adds, "Imagine that you enter into an interactive room, Taatmknon and communicate with all smart devices in this room! "in reference to the evolution of intelligent devices and removable devices for Atdae technology. But on the other hand revealed Eric Schmidt about his vision for the future of Google Inc., and who sees that he is threatened, where Schmidt pointed out that the digital world giants Kjocal and Facebook and other threatened competition in addition to that some want to reorganize and restructure these companies in a reference to the desire of European authorities Google is divided into two companies in order to separate from the rest of the company's search engine activities.